With a warm applause and in a festive atmosphere, Xenia’s inaugural ribbon was cut on Saturday, November 24, at 10:30 am, at the presence of a large crowd of people, while it was attend-ed by high-profile officials. 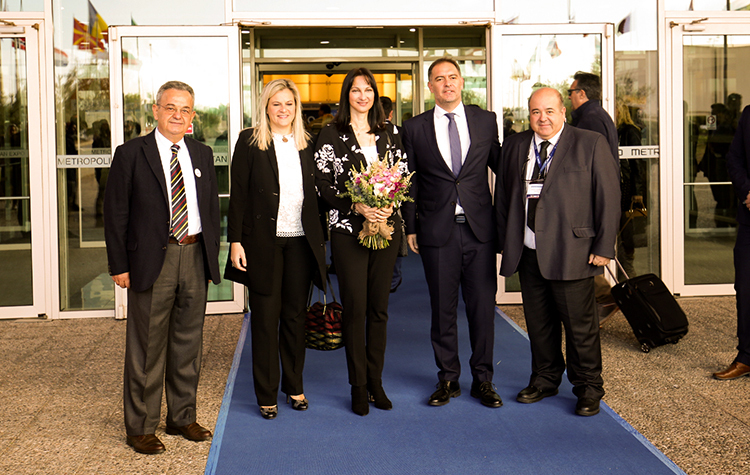 Mr. N. Choudalakis (FORUM SA President and CEO), Ms. E. Kourneta (secretary general of Ministry of Tourism), Ms. E. Kountoura (Minister of Tourism), Mr. A. Vassilikos (HCH President) and Mr. T. Gialouris (FORUM SA V. President) just before the opening ceremony. “ Xenia will win this year’s credit for its huge contribution to the boom of Greek tourism.” With this phrase, Mr Nikos Choudalakis, Chairman and CEO of FORUM SA, expressed, right after the opening ceremony, his optimism and conviction that Xenia will also play a key role this year in strengthening Greece’s most precious national product, by mobilizing and providing tools to hoteliers throughout the country to further upgrade their services and climb to the highest positions in the global tourism business. “Xenia, the trade show-institution for the hotel industry, is expected, with this magnificent event, to expand its allure by reaping once again the rewards for its huge contribution to the growth of Greek tourism,” concluded Mr Choudalakis. Present at the opening ceremony were also Mr. K. Michalos –president of the Athens Chamber of Commerce & Industries & the Union of Hellenic Chambers– Mr. G. Kavvathas -president of the Hellenic Confederation of Professionals, craftsmen & merchants (GSEVEE)- Mr. G. Tasios -president of the Hellenic Hotel Federation– Ms. A. Chondromatidou –VP of the Greek National Tourism Organization – Ms. E. Kourneta – secretary general of Ministry of Tourism- and Mr. Μ. Konsolas –Head of Tourism sector of Nea Demokratia. At the end of the opening ceremony, the representatives of all institutional bodies, headed to C1 conference room in order to attend the 2nd International Hospitality Forum. 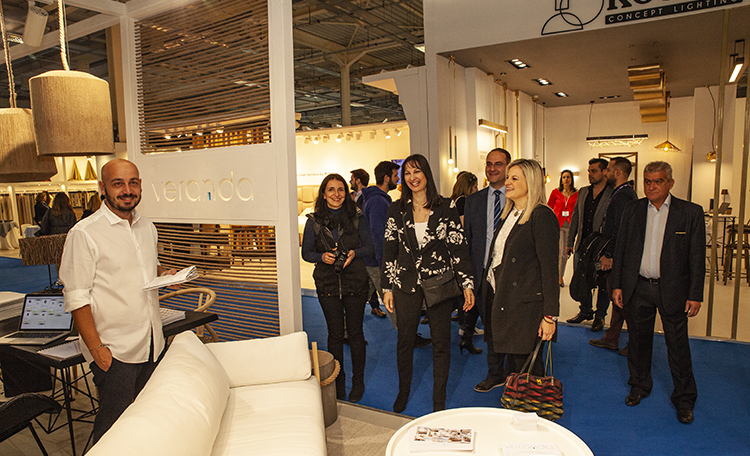 After the opening ceremony, Ms. Elena Kountoura visited the trade show, saw the impressive stands up close and had the chance to talk to exhibitors.